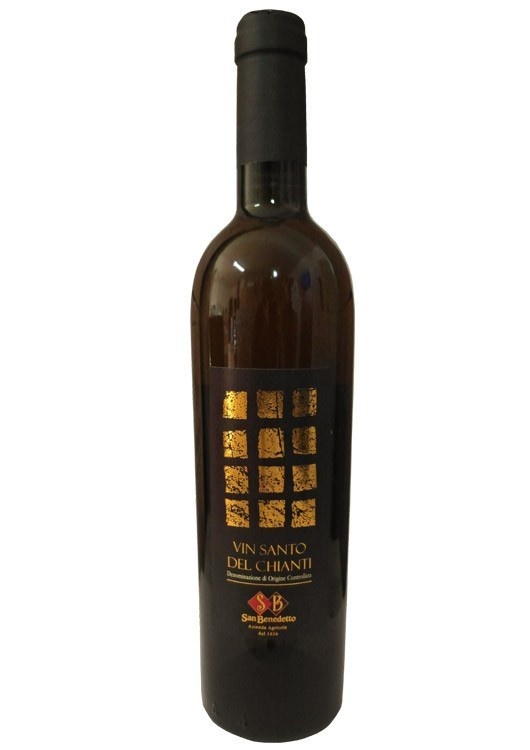 The Trebbiano Toscano, Malvasia del Chianti and Verdea grape varieties combine to form a full-bodied and harmonious sweet wine that pampers the nose with the aromas of candied fruit, cinnamon and spices. The grapes are stored on nets for three months after they are harvested before they are pressed. This results in the increased sugar concentration, to which the Vin Santo owes its sweetness (residual sugar: 96.4 g / l). The must then fermented in small barrels - called Caratelli - which usually do not hold more than 100l. The winery San Benedetto uses only barrels of chestnut wood, because they are particularly suitable for the development of this wine.